Arthur Ream has previously led police to the remains of other victims. AUTHORITIES EXCAVATING WOODS in south-eastern Michigan for the remains of a 12-year-old girl last seen in 1979 also could be looking for the bodies of up to half a dozen others who have been reported missing over the years. Digging resumed today in Macomb Township, about 50 kilometers from downtown Detroit. The search started yesterday for the remains of Kimberly King, but Warren Police Commissioner Bill Dwyer told WJBK-TV that there could be others buried in the area. “We have probable cause to believe that (Kimberly) is buried there,” Dwyer said. “We also believe that there’s maybe four to six other girls that have been reported missing that are buried there. We certainly are convinced we have the right area. It’s just a sad type of situation. Dwyer did not give the names of the other missing girls. In 2008, the remains of 13-year-old Cindy Zarzycki were found near the same area. Zarzycki disappeared in 1986 after being lured to a Dairy Queen in Eastpointe, just north of Detroit. Arthur Ream was convicted of first-degree murder in her slaying. He later was temporarily released from prison to lead police to Zarzycki’s body. He told investigators that Zarzycki’s body was buried near a creek. He also drew a map of the site and spent about an hour at the search scene with authorities before being returned to prison. Zarzycki had been dating Ream’s son at the time of her disappearance. Authorities said Ream tricked her by telling her that he was planning a surprise party for his son. 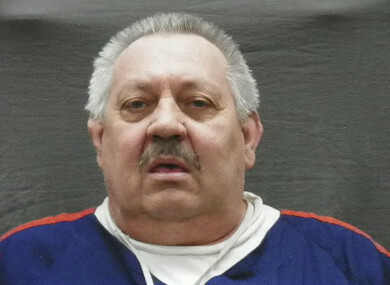 Ream, 68, is serving life in prison. At the time of his conviction for Zarzycki’s killing, he already was serving a 15-year sentence on an unrelated molestation charge involving a 14-year-old girl. Email “US police searching for girl missing since 1979 say there could be 7 bodies hidden in woods”. Feedback on “US police searching for girl missing since 1979 say there could be 7 bodies hidden in woods”.